We consider author service to be our top priority and developing your quality product in a timely manner is our goal. 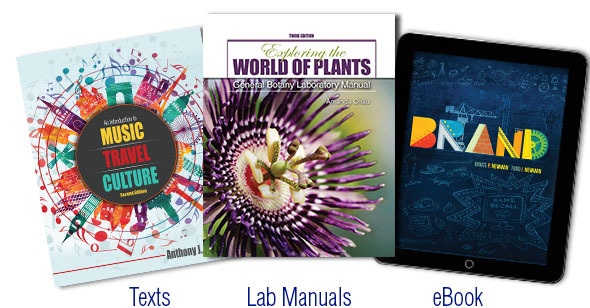 Our team has extensive experience in publishing texts, lab manuals, eBooks, education technology, and more! Looking for the perfect text? Kendall Hunt's Custom Publishing Solutions Program offers you the opportunity to create a unique text that is specific to your needs, and the needs of your students. Scroll through our Featured Products or use the Search Catalog to find the right product(s) for your classroom!